Is there something fishy about the health advice on farmed salmon? Brendan O'Keefe Commented: Thank you Mr Flynn for leading me serendipitously to Ms Whites article. In the decades of debate on farmed salmon, her article has to be the most knowledgeable and enlightening to date. You need to apologise for your rude opening remark. Where there is any doubt she asks a question. I doubt M/s White has any conflict of interest in this discussion, but almost all of you reference sources have blatant conflicts. It is crossing the line to recommend farmed salmon to pregnant mothers. The EFSA discussed advising mothers to avoid farmed salmon for six months or twelve months before getting pregnant, hard to believe. It is a scientific fact that smoked food is cancer causing. MI Manuscript " Contaminants and Pollutants in Irish Seafood 2004-2008" had 90 farmed salmon and one wild salmon and an add for salmon in the middle of the manuscript, and the PCBs, mercury etc.uncouvered validated Ms Whites assertions. Location of farm is also a factor. 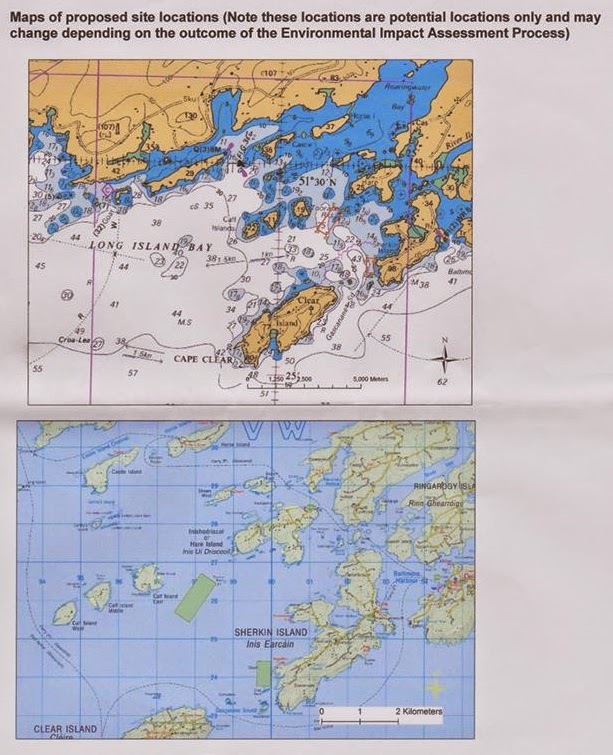 Roancarrig salmon farm is on the edge of Castletownbear harbour, one only need look at the Engineer's report on extension of Dinnish peer to call for specific monitoring of the salmon farmed at that location. We can debate term Salmon of Knowledge, but not the Salmon Paradox outlined in the research of Prof. Floyd Chilton, Wake Forest U. We need to have a scientific Aquaculture summit with emphases on salmon. We need to adopt the Precautionary Principle ECU Law in the mean time. Children's Health above Ocean Wealth. SuprMammy Commented: Farmed fish, mass produced in cages, fed on artificial fèed which includes antibiotics, can hardly be described as healthy. 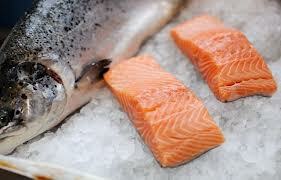 Farmed salmon also has much higher levels of fat, which negate many of the clamed health benefits. SMOKED salmon is the easy part of Christmas. Throw it on brown bread, with lemon and black pepper, and the innocents will think it’s posh and that you’ve spent a lot. But you can get 100g of Everyday Value smoked salmon in Tesco — “responsibly sourced from the waters around Scotland, Norway or Ireland” — for €3.59. But, today, as many of us prepare for the big Christmas supermarket shop, the Friends of the Irish Environment have ramped up their boycott of farmed salmon, strengthened by the news that the international Slow Food Movement — which counts among its supporters Bridgestone’s Sally McKenna and that icon of Irish sustainable food, Darina Allen — has condemned intensive open-pen fish farms. “Open-net pen aquaculture is not a solution to the problem of overfishing,” says Slow Food. The Italian-based Slow Food Movement is dedicated to linking “the pleasure of good food with a commitment to their community and the environment” and the FIE boycott campaign is appealing to our consciences about what they deem the dangers of farming salmon in cages in the open sea. 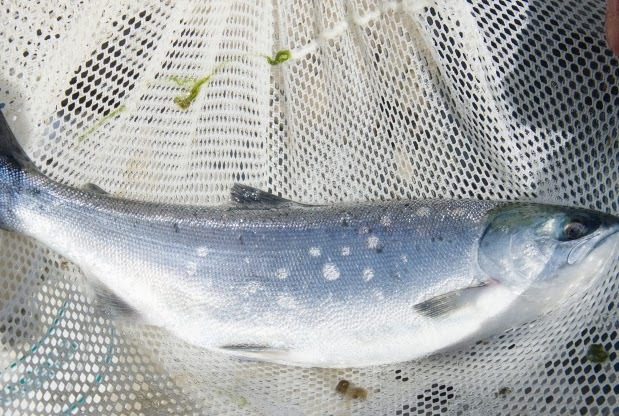 For example, sea-lice infestation among farmed salmon impacts wild stocks. FIE reckons that between 12% and 44% fewer wild salmon are now spawning, but Bord Iascaigh Mhara denies that there has been any impact on wild stocks. Most people can’t be bothered with the environment, when they’re Christmas shopping. What they care about is a good price for a product that will make a starter Tesco calls “moreish”. And farmed salmon is a healthy food, isn’t it? With all that Omega 3 and fish oils and low-fat protein, it’s a super-food. Is this true? We don’t know. Some reports show levels of Omega 3 dropping precipitously in farmed salmon, but there is so much money bound up in huge, multi-national fish-farming enterprises that we can’t rely on governments to tell us the truth about the healthfulness of farmed salmon. Concerns about toxicity from carcinogens, such as dioxins, PCBs (man-made hydrocarbons), and BFRs (flame retardants), in North Atlantic farmed salmon have been circulating since the publication of research on contamination a decade ago. Last year, the Norwegian ministry of health warned mothers-to-be and children not to eat more than two portions a week of Norwegian farmed salmon, because of its toxicity. That’s more than most of us eat anyway. But it was significant in Norway, headquarters of the global fish-farming multinational Marine Harvest, that its government was issuing any kind of health warning about its farmed salmon. What was far more significant, however, was that the Centre of Norwegian Sea Products found a willing accomplice in the Norwegian government in hiding this advice from international markets. Contrasting advice in English, featuring a family of little blonde Nordies tucking into salmon under the heading, “Salmon is healthy! And good!”, was provided by the centre and published on the Norwegian health ministry’s website. A similarly misleading French translation was provided to the Norwegian embassy in France. When the Norwegian journalist, Morten Stroknes, found this out there was war. There were claims that the Norwegian authorities only cared about the health of Norwegians. 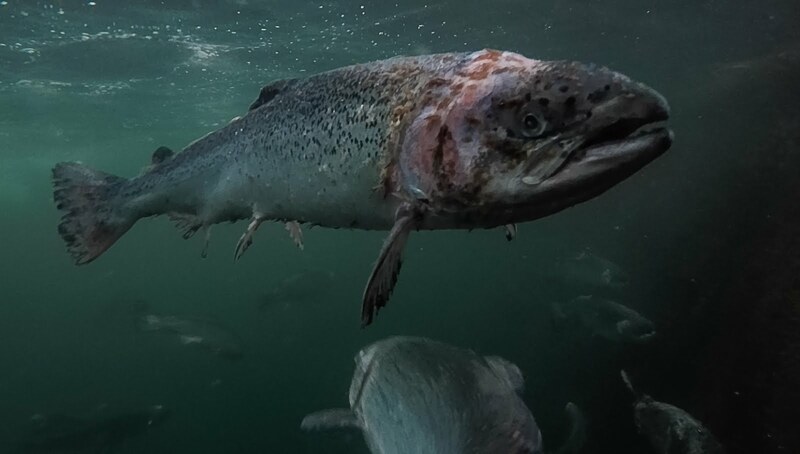 Just in time for Christmas, the Norwegian health ministry has lifted the warning on its salmon, with a report that was welcomed yesterday by Bord Iascaigh Mhara. 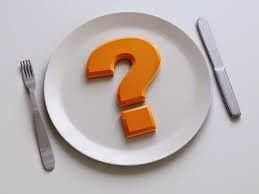 The report concludes that “the benefits clearly outweigh the negligible risk presented by current levels of the contaminants, and other known undesirable substances in fish”, and adds that the failure to eat fish once a week is the health risk. “The change of tack by the Norwegians is, in our view, an acceptance of the very considerable consensus internationally, among a host of national food-safety agencies — who operate fiercely and independently on the consumers’ side — that the consumption of salmon, both farmed and wild, is not only safe, but advisable from a nutritional perspective,” said BIM. 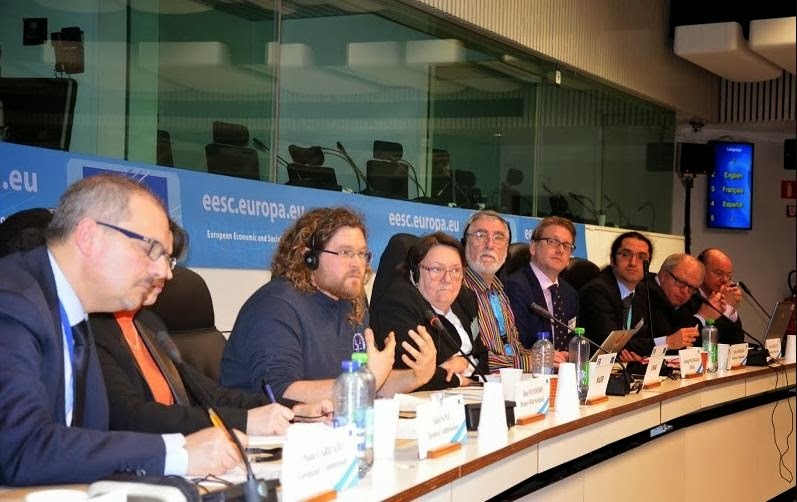 The report has been launched in France with a huge publicity campaign, much to the disgust of the European Greens, who argue that salmon farms should be on land. They say that the farmed fish was only tested for three toxins, which are decreasing in the environment anyway and that European-allowed toxin levels are 20 times lower for farmed fish than for meat, despite the fact that farmed salmon fat can have 10 times more pollutants than occurs in beef, poultry or pork. They put this down to powerful Norwegian lobbying. But can we, in Ireland, trust agencies of the State to give us independent advice about the health benefits, or risks, of farmed salmon? Why, then, at that meeting last January, between Marine Harvest, Taoiseach Enda Kenny, and Marine Minister Simon Coveney, did the latter promise that “the new structural changes in the Marine Institute will be monitored to ensure they produce a faster turnaround on scientific advice”? What right does a commercial multinational have to dictate the amount of time it takes to “produce” scientific advice from a State-funded institute? None, I would say, but Mssrs Kenny and Coveney obviously disagree. No wonder Marine Harvest considered the meeting “very constructive”. And when you look for independent advice on the food safety of farmed salmon, what you get is sketchy. In 2007, the Marine Institute brought out a leaflet reassuring Irish consumers about the level of flame-retardant contamination in Irish farmed salmon. The small print says the UK study’s results were “tentative” and admits that the Marine Institute only tested “a small number of samples”. Uncontested evidence on the food safety of dead fish harvested for consumption is easier to come by and should be available to the Irish consumer. There can be no grounds for suspicion that the intertwined economic and political interests of the Government have any influence whatsoever on the workings of the Marine Institute and, downstream of them, on advice from the Food Safety Authority of Ireland. We have to be absolutely certain that the advice we are getting about the safety of fish farming, both to the environment and to our health, is wholly independent, or it will make a mockery of a people who count The Salmon of Knowledge among their founding myths. An environmental group is going all the way to the High Court in a bid to secure the release of a Government report into a massive escape of farmed salmon. An estimated 230,000 salmon escaped from a fish farm in Bantry Bay last February. The Friends of the Irish Environment (FIE) group has been trying, without success, to acquire a Department of the Marine report into the incident, which Agriculture and Marine Minister Simon Coveney has not released. FIE has now asked the High Court to require the Information Commissioner, Peter Tyndall, to rule on the minister’s refusal to release the report. FIE spokesman Tony Lowes said they have asked the court for an ‘order of Mandamus’ requiring the commissioner to hear an appeal of the minister’s refusal. The case is listed to be heard before the High Court on January 20. Mr Coveney has refused to release the report on the grounds that it was an “internal communication” and that the public “interest would not be served by the disclosure”. FIE appealed this refusal to the Information Commissioner, but he has not given the group a date by which he will make his decision, citing a massive backlog of cases. Mr Lowes said he understands the commissioner is still working on 2012 appeals. But he said the Bantry Bay matter is especially urgent given that a report on a similar escape of some 80,000 salmon in Clew Bay in 2010, was released to the FIE last year without any delays. That report showed the Department of the Marine had not required the necessary inspections of the fish farm equipment, and had failed to enforce licensing conditions. A note on the report by a senior departmental official says it “clearly points to the fact that adequate systems in relation to certification, maintenance, inspection, repairs and records need to be in place for this type of installation”. Mr Lowes said FIE are pursuing the Bantry Bay report in the belief it will show that little has changed over the last four years. “Given the increasing severity and frequency of storm events due to climate change, it is vital that we see this report before the storms recur,” he said. 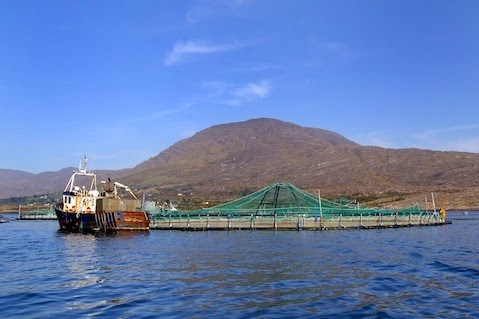 Its been three years or more and we are still campaigning to have these Salmon Farms on the Irish Coastline moved to safer inland closed containment systems. Why aren't our elected government in Ireland listening? Why is there such a lack of interest and inability to move forward. The benefits to moving to closed containment systems far out-whey the out dated system of salmon farming along the coastline. 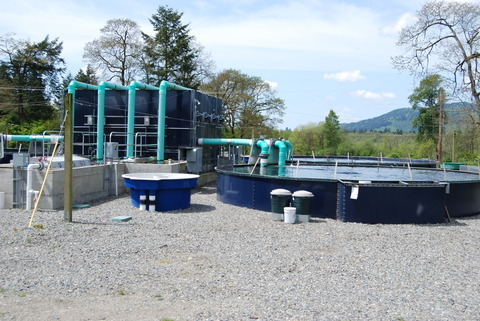 ISGA Executive, Richie Flynn, said, “While unprecedented damage was caused to coastal infrastructure, salmon farms stood up extremely well to the constant storm challenge”. 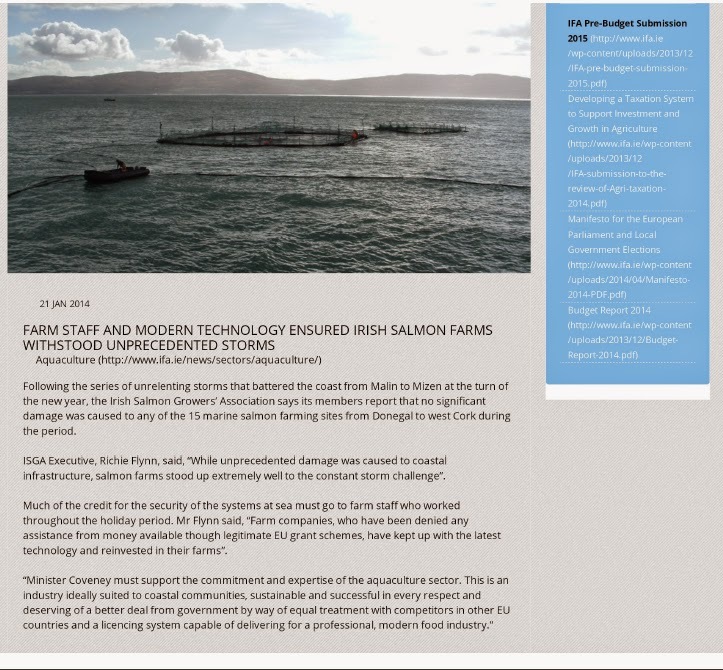 http://www.ifa.ie/farm-staff-and-modern-technology-ensure…/… Then 11 days after this publication on the IFA website one of Ireland's largest salmon farm escapes happened in Bantry Bay on February 1st 2014 due to a coastal storm! Richie Flynn's arrogant statement quickly became apparent that Salmon Farms on the Irish coastline are indeed at risk of storm damage. To date the Department of Agriculture has refused, under appeal, to publish a report it commissioned into how 230,000 farmed salmon escaped from cages in Bantry Bay during winter storms. 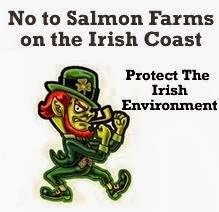 We don't want anymore Salmon Farms on the Irish Coastline! 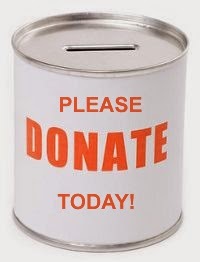 We are running a fund raising campaign at the moment to fund a brochure and information leaflet campaign. Members of the public and consumers are almost unaware that the word Organic is being used by supermarkets, shops and restaurants in order to manipulate consumers into buying what is Farmed Salmon. The use of the Organic Label is being totally abused not only by the people who issue the Organic Label but by the companies who are selling farmed salmon. The River Ilen in County Cork is Now also a target of the salmon farming industry. The River Ilen in County Cork is now also a target of the salmon farming industry. A scoping letter has been sent to interested parties by the Cape Clear Fishermen's Group outlining their plans for a 5900 ton "organic" salmon farm facility over two sites at Roaring Water Bay in Skibbereen. 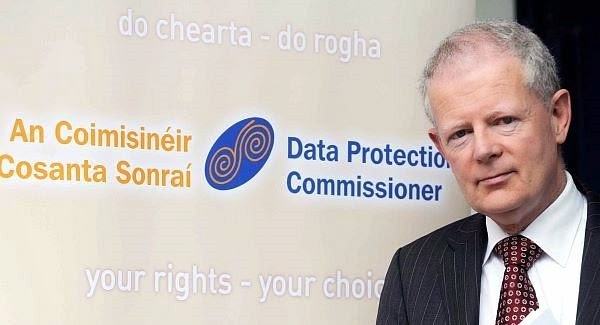 An environmental lobby group has threatened to take the Information Commissioner to court as part of its ongoing attempt to obtain a report on the escape of 230,000 salmon in Bantry Bay last February. 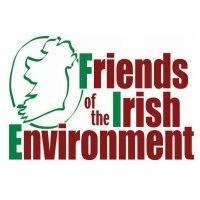 Solicitors for Friends of the Irish Environment have written to the commissioner to say they will take High Court action if he fails to indicate when he intends to make a decision on whether to release the report. Agriculture Minister Simon Coveney has already refused to release the report, prompting the FIE’s appeal to the commissioner. Mr Coveney said the report, by the Department of Marine’s engineering division, was a work in progress and the public would not be served by its disclosure. FIE appealed Mr Coveney’s refusal to the Information Commissioner but have not heard back. Last week, solicitors O’Connell and Clarke wrote to the commissioner, arguing that his failure to respond was “concerning given that you are on notice of the gravity of this matter and the ongoing danger to the environment”. The letter warned that should the commissioner fail to respond, FIE would make an application to the High Court compelling him to address their appeal. The report relates to an incident during a storm in Bantry Bay last February, when a cage broke loose resulting in the escape of 230,000 salmon. Mr Lowes said they wanted sight of the report to see if anything had been done since the 2010 report to ensure fish farm installations are being inspected. History repeats itself. Just as theologians of old tailored science to back their leader’s beliefs, today the Marine Institute tailors their research to back Minister Simon Coveney’s agenda. In publishing papers stating sea lice have little impact on wild salmon, the Marine Institute positioned themselves in direct opposition to all other international research studies on the topic to date. This begs the question, why is the Marine Institute going out on such a limb? Mr Coveney is proposing to expand salmon farming at an unprecedented rate. To do this against public opinion; with questionable scientific backing; and potentially at the cost of valuable angling, tourism, and marine leisure industries; not to mention the environment would be preposterous. Thus, the need to recruit the Marine Institute in order to have science and resulting economics on Mr Coveney’s side. This must have hit home in 2009 when the European Commission opened a preliminary PILOT case to investigate Ireland’s sea farming plans after concerns had been raised. Quick to respond, the Marine Institute were at hand to present the required scientific arguments. This approach succeeded. The case was closed in Ireland’s favour. 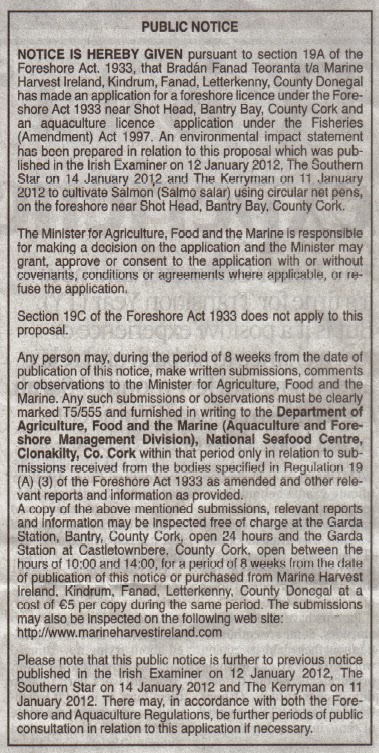 Mr Coveney’s confidence must have grown, for soon his salmon farming plans became yet stronger and more public. It did not matter that the Marine Institute was presenting findings that are in direct contrast to the generally held opinion – that sea lice posed a serious threat to wild salmon and sea trout. And, so as of yore the arguments were constructed to suit the moment. The Marine Institute argue their research papers cannot be faulted, for they are peer reviewed. Yet the fact that a theory is peer reviewed only means that the maths, calculations, and research are constructed to certain guidelines. It does not question if the research is failing to address the issue at hand or is being wrongly interpreted by government. Neither does peer review take into account that the Marine Institute theories are in direct contrast to studies carried out by IFI, the government body tasked with protecting wild salmon and sea trout. So it would seem, a refusal to accept reality has become a part of the Department of Agriculture and pro-salmon farm lobby mind set. To make matters worse, the production of bad science is not the limit of inappropriate behaviour by the authorities when pushing their salmon farming agenda. This month, Mr Coveney met with Alf-Helge Aarskog, chief executive of Marine Harvest – the company that operates three quarters of Ireland’s salmon farming today and hopes to soon secure more licenses along Ireland’s shores. Such “separation of duties” is a big ask when Mr Coveney gets to: make the decision on whether or not to award a license; decide who is appointed on the appeal board should his decision be opposed; and oversee the agencies responsible for inspecting salmon farms once in operation. Just over a year ago, he adopted Food Harvest 2020, the government agricultural policy which aims to increase salmon farming at a greater rate than any other production area. To suggest this arrangement conducive to a fair trial is delusional. So it comes as no surprise that those in opposition to salmon farming believe the only hope lies with the European Commission. Fortunately, having received new information detailing the bad science presented by Mr Coveney’s team, the Commission are now reconsidering the Pilot Case they formally closed. In truth, the only hope of true justice lies with the European Commission. Goebbels would be proud! State sponsored propaganda alive and well in Ireland! World's first land-based-farm sockeye salmon ready for harvest in B.C. Inland Fisheries Ireland notes the findings of a new international scientific paper which identifies fundamental flaws in the methodology and findings of a study (Jackson et al), elements of which have formed the basis of an EIS submitted in support of the proposed Galway Bay Salmon Farm. The new paper demonstrates that the impact of sea lice on wild salmon causes a much higher loss (34%) of those returning to rivers in the west of Ireland, than the 1% loss suggested heretofore in the Jackson paper. The new study entitled “Comment on Jackson et al. "Impact of Lepeophtheirus salmonis infestations on migrating Atlantic salmon, Salmo salar L., smolts at eight locations in Ireland with an analysis of lice-induced marine mortality" is published by Krkošek, et al. (2013) in The Journal of Fish Diseases. It points out fundamental methodological errors made by Jackson et al. (2013). Following a re-analysis of the same data, it shows that it incorrectly concluded that sea lice play a minor, perhaps even negligible, role in salmon survival and that this finding emerged following three fundamental methodological errors. This new paper conducts a re-analysis of the data with the findings departing substantially from those reported and interpreted by Jackson et al. (2013), and in previous publications that drew on some of the same data (Jackson, et al. 2011a; 2011b). Whereas Jackson et al. 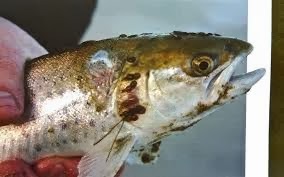 2013 assert that sea lice cause 1% of mortality in Atlantic salmon, the correct estimate is actually a one third loss (34%) of overall returned stocks. The new paper gives the example that if, in the absence of parasites, final adult salmon recruitment is 6% of smolt production, then the effect of parasite mortality reduces that recruitment to 4%. According to interpretations used by Jackson et al. (2013), that is a change of 2%. However, the overall effect is that it reduces the abundance of adult salmon returning to a river from, say, 6,000 down to 4,000; this 1/3 loss of salmon returns could have significant conservation or fishery implications. Krkošek, et al. 2013 emphasise that their purpose is not to downplay factors other than parasites that may also have a large influence on marine survival of Atlantic salmon. They do however highlight that parasites can and, in this case, clearly do have a large effect on fisheries recruitment, irrespective of apparent changes in overall marine mortality over time, and with important implications for the management and conservation of wild salmon stocks. Two of the publications that utilise some of the same data (Jackson et al. 2011a & 2011b), and which contain the methodological errors reported above, have been referred to in the Environmental Impact Statement submitted by BIM in their proposal for a deep sea fish farm in Galway bay. In support of the contention that sea lice do not negatively impact on out migrating salmon smolts, the Marine Institute studies by Jackson et al. 2011a & 2011b are quoted as concluding that the infestation of outwardly migrating salmon smolts with sea lice was only a minor component of the overall marine mortality in the stocks studied. This contention may now be questioned by the re-analysis undertaken in this new paper by Krkošek, et al. 2013. This paper concurs with previously published international research (Krkosek et al, 2012 & Gargan et al, 2012) which indicates that sea lice emanating from aquaculture facilities can cause significant mortality to Atlantic salmon. IFI welcomes the clarification in this new paper regarding the potential negative impact of sea lice emanating from marine salmon farms and looks forward to ensuring effective sea lice management to reduce or eliminate this impact. In this context, the location of salmon farms in relation to salmon rivers and the control of sea lice prior to and during juvenile salmon migration to their high seas feeding ground is critical if wild salmon stocks are not to be impacted. The development of resistance to chemical treatment of sea lice and other fish husbandry problems, such as pancreas disease and amoebic gill disease, are likely to make effective sea lice control even more difficult in future years. IFI is supportive of the development of a sustainable aquaculture industry and welcome all advances in research that will underpin the sustainability of this industry and safeguard wild salmon and sea trout stocks into the future. Mr Simon Coveney and his Department of Agriculture is been made look like Piggy in the middle and Ireland look like an Island of Clowns to the rest of the Europe. To us Mr Coveney has been given misleading information from a few within the Marine Institute and their cronies within BIM to keep their bank accounts full of Irish Taxpayer money. The European Commission is investigating why it did not receive a scientific report from the Department which showed the amount of sea lice likely to come from such a farm could devastate much of the country’s wild salmon and trout. This report was drawn up by Inland Fisheries Ireland, responsible for protecting and developing inland fisheries and sea angling and protecting wild salmon under the EU’s Habitats Directive. Instead, the Department sent a different study from another state agency, the Marine Institute, that said the danger would be small: about 1% compared with the 39% suggested by the Inland Fisheries report. The Ombudsman is also investigating the issue and was told by the Department that the Inland Fisheries report had many inaccuracies and fundamental errors and that it “would have had disastrous results for Ireland’s reputation” had they sent it to the Commission. To us this is where the misleading information came into effect and more of the untold truth about open net pen salmon farming has now made Mr Coveney and his department become untrustworthy of information they forward to the EU. To the best of our knowledge the report that was sent to Europe by Mr Coveney's Department was issued from within the MI Marine Institute and had been peer reviewed by persons with a conflict of interest with open net pen salmon farming. This report was questioned by four independent scientists and has proven the IFI Inland Fisheries Ireland to be correct in saying that sea lice from these open net pen salmon farms are killing up to 39% of the wild salmon smolt at sea. When the report was published in Journal of Fish Diseases, this forced the head of the Marine Institute, Dr Peter Heffernan, to defend the work by saying the scientists had not considered the entire study. The Jackson et al. (2013) incorrectly lead the reader to a conclusion that sea lice play a minor, perhaps even negligible, role in salmon survival. Such a conclusion can be supported only if one is prepared to accept at least three fundamental methodological errors. parasiticide treatment relative to controls. The second is the use of arithmetic averages for comparing survival proportions between control and treatment groups; these data are log-normally distributed, and appropriate survival analysis involves the calculation of differences in groups on the log scale. Finally, their measurement of the difference in survival between control and treatment groups in absolute percentage points (their overall final result is approximately 1% point) does not equate to the percentage of salmon that are lost to mortality caused by parasites. We the NSFAS (No Salmon Farms At Sea) are asking all Groups, Organizations and members of the general public to join with us and voice your concerns on April the 2nd 2014 at the AVIVA Stadium Lansdowne Road, Ballsbridge, Dublin 4 where BIM are hosting their National Seafood Conference 2014. We are asking that everyone joining with us on the day to bring their own placards and banners and meet with us at Gate A of the Lansdowne Road Entrance to the stadium at 7:00am. We are hoping to have speakers from various groups throughout the day to voice the concerns of their Group / Organization with open net pen salmon farms at sea on the day. Should you have any suggestions or questions please contact any of the following. A full-scale war is under way between the Department of Agriculture and the Inland Fisheries Ireland is likely to determine the fate of Europe’s biggest fish farm planned for Galway Bay. They put forward a report from the Marine Institute, which provides scientific advice to the Department, and which painted a very different picture, suggesting the danger from such a farm would be small. However, this report was questioned by four independent scientists when published in Journal of Fish Diseases, forcing the head of the Institute, Dr Peter Heffernan, to defend the work, saying the scientists had not considered the entire study. The European Commission has reopened its investigation of the matter having received the Inland Fisheries study. Their spokesperson said they were investigating, but had just received the Department’s response on Monday and needed time to assess it. 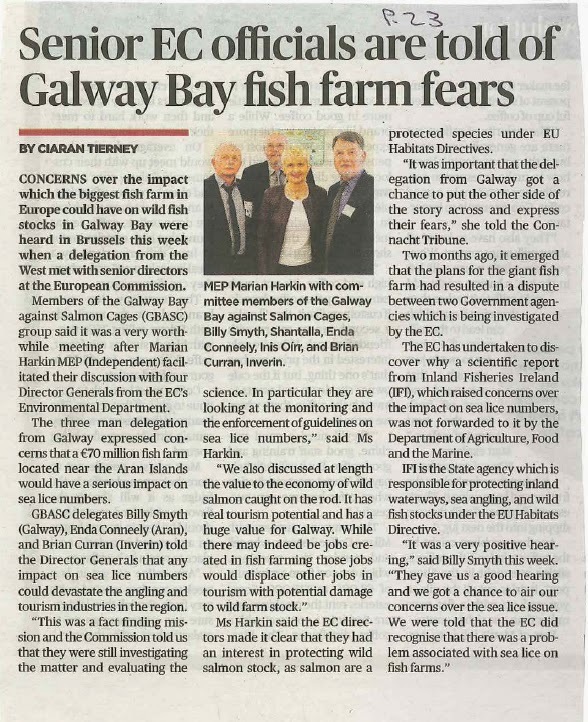 Friends of the Irish Environment (FIE) want the issue of the Galway Bay farm investigated, saying the environmental impact study was largely based on the Marine Institute’s report, while the report from the body responsible for wild fish conservation, Inland Fisheries, was sidelined. The Galway farm is part of the Department’s plan to boost the country’s food exports. Getting licences for fish farms tends to be lengthy and bureaucratic, with many environmental and social issues to be considered. The Department asked BIM — the body responsible for developing the country’s sea and aquaculture industries — to prepare an application and seek planning permission for a fish farm that would more than double the country’s production of farmed salmon. It is expected they will sell or lease the licence to a private company. FIE are also questioning whether it is right to have BIM looking for the licence for the Galway Bay farm and ask whether BIM will also fulfil its other role of advising the minister for agriculture on whether to award the licence. “This all appears to be incestuous and not very healthy,” said Tony Lowes of FIE. The Department said it received the application from BIM and the environmental impact statement and was considering it. Inland Fisheries Ireland, in a submission to the application, suggested changes should be made and quoted their research that 39% of smolts (young salmon) were killed by sea lice from fish farms and warned that the planned farm and the harvesting of its fish could produce the same dire results. FIE has written to Pat Rabbitte asking him to take issue with the Ombudsman who has accepted the Department of Agriculture's claim that the scientific advice provided by Inland Fisheries Ireland for an EU investigation into salmon and sea lice contained 'many inaccuracies', 'fundamental errors', and 'omissions of relevant facts and misleading commentaries' which 'would have had disastrous results for Ireland's reputation had it sent the report to the European Commission'. The Ombudsman's ruling was in response to a Request for Redress for Maladministration we made after our investigation showed that the Department of Agriculture had not provided the EU with the IFI report critical of its response to the commission. The files document that the Department of Agriculture failed to provide the commission with the 'express views' requested from IFI as part of the investigation. The investigation, which began in 2010, was subsequently closed by the Commission in 2012. Plans were then announced by the Department of Agriculture to double national production of farmed salmon at one site in Galway Bay, with eight further farms planned along the coast. In fact, the irony is that the fundamental errors lay with the Department of Agriculture and it is the work of their Agency, the Marine Institute, discounting the influence of sea lice on wild salmon which has been disgraced and has had a disastrous result for Ireland's reputation in Brussels. Deputy Clare Daly has tabled a written Parliamentary Question asking Minister Rabbitte if he accepts the position of the Ombudsman. It is due for reply later this week. 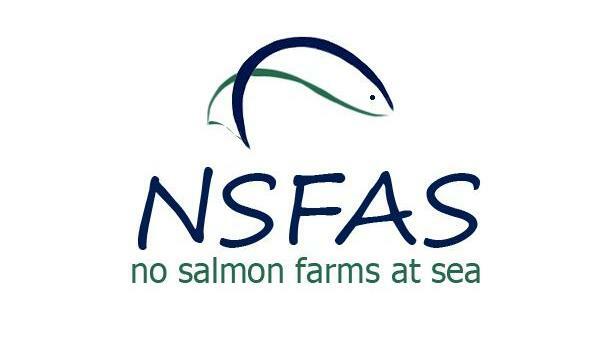 NSFAS (No Salmon Farms At Sea) are asking all Groups, Organizations and members of the general public to join with us and voice your concerns on April the 2nd 2014 at the AVIVA Stadium Lansdowne Road, Ballsbridge, Dublin 4 where BIM are hosting their National Seafood Conference 2014. Fish News EU - Salmon that is Labelled "Organic"
AN Irish environmental pressure group alleges that the country's organic farmers are concerned about the methods being used to produce salmon that is labelled "organic". The claims came from Save Bantry Bay, an organisation which relates that serious concerns about the certification of farmed salmon as organic were raised by the Irish Organic Farmers and Growers Association (IOFGA) at their recent AGM and members voted unanimously to establish a working group to immediately investigate. Alec O'Donovan, Secretary of Save Bantry Bay, said: "We welcome the decision by IOFGA to review the 'organic' label for salmon farming. It is time we stop misleading consumers into believing this is a product that is better for the planet when it is actually contributing to the degradation of our inshore environments, water quality and wildlife." "Organic salmon farmers argue that they're more humane as they stock at lower densities. But, they're still taking a fish that would normally swim thousands of kilometres across the oceans and sticking it in a cage. Organic chicken farming does not allow hens in small cages even though they actually walk only very short distances," added Breda O'Sullivan, Committee Member, Save Bantry Bay. Irish Government Recommendation 1994 "Salmon Farms Should Not be Placed within 20km of Wild Salmon Rivers. With the Marine Institute’s research now dismissed, the government has got to take heed of its own advisors recommendations from 1994, which clearly stated salmon farms should not be placed within 20km of wild salmon rivers. The government has allowed its own agencies to pull the wool over their eyes. The Marine Institute’s sea lice research has caused controversy after controversy. World expert, Professor Mark Costello, has personally written to Minister Simon Coveney to warn him that he is being fed mis-information. And now a team of international scientists have discredited [Marine Institute] research in a well-respected peer reviewed journal. Not only is the Marine Institute putting their reputation at considerable risk, but also that of the Irish government as a whole. Save Bantry Bay are asking that government stop blindly pushing their salmon farming agenda, backed by bad science, but instead complete a full Strategic Environmental Assessment as is required by EU law. Krkošek, et al. (2013) points out fundamental methodological errors made by Jackson et al. (2013). Following a re-analysis of the same data, it shows that it incorrectly concluded that sea lice play a minor, perhaps even negligible, role in salmon survival and that this finding emerged following three fundamental methodological errors. As authoritative scientific voices have weighed into the debate regarding fish farming, the plans for a giant 1,130-acre caged-fish installation between the Aran Islands and Clare, along with similar proposals elsewhere along the coast, appear increasingly ill-advised. The revelations about its research can only strengthen the argument that the Marine Institute is propping up [BIM.s] controversial plans for these vast and intensive fish farms off the coast. Sea lice have proven difficult to control on farms, especially large farms, because it is difficult to treat all fish simultaneously. Such fish farms are linked to mass fatal infestations of wild salmon and trout in countries such as Ireland, Scotland, Norway and Canada. With the Marine Institute study now shown to be essentially a wrong-headed attempt to mask the risks posed by sea lice – harboured in great numbers within such farms – it now needs to be withdrawn in full. On 28th of December 2013 (incidentally, my 23rd wedding anniversary), I received a tweet from Gillian Mills of Inshore Ireland with a sensational Headline: Publisher apologises to Ireland’s Marine Institute for contentious sea-lice article. Having been watching the whole debacle of BIM’s application for a major salmon farm license in Galway bay and having a passionate interest for aquaculture, I followed the link in the tweet to an online copy of the article. After reading the online Article, I replied to Gillian and said “divisive headline Gillian.. they apologised for not giving the MI a right to reply, not for the contents of the article”. I’m now taking Gery up on his kind offer, as I think there has been a lot of confusion in relation to this whole issue and it is important in a democracy that people are freely able to express their views on matters, and also to be well informed in the media of the facts; it may also help clear up any confusion that is out there. I fully appreciate that this is something of a contentious issue and that Inshore Ireland have given the opponents of the proposed Galway Bay farm project a chance to air their views, and I appreciate your offer to publish my views on your recent article in full. 1. Your assertion that the `article` “has been significantly downgraded”, you state this, as if it is a matter of fact. 2. Donal Maguire’s (BIM, the Promoter of the proposed contentious Salmon farm project in Galway Bay), confirmation that the article (his words not mine) `had to be downgraded` and that this is `highly significant`, which coincidentally is the same opinion as Inshore Ireland. 3. Your assertion that such a reclassification is highly significant in the scientific world. 4. Your headline refers to sea-lice article, your article refers to the Krkoesk et al. submission as an article on several occasions, Donal Maguire refers to the Krkoesk et al. submission as an article, the main point of your inshore Ireland article (you are not a scientific journal) is about the re-classification of a submission from a `short communication` to a `comment`, yet you constantly refer to the submission as an article` which is a different scientific class of document and is in fact inaccurate. 5. The Inshore Ireland article appears to be an attempt to discredit and undermine the Krkosek et al. submission and paint the picture that the Marine Institute’s science is right. 1. Did Inshore Ireland, Donal Maguire or anyone from BIM clarify any of these assumptions with Krkoesk et al. or the Journal or Fish Diseases Publisher, Wiley? 2. Was the Krkoesk et al. submission actually `significantly downgraded`, or is this an assumption by Inshore Ireland, Donal Maguire and BIM? 3. What is the difference of reviewing a `Short Communication` and reviewing a `Comment` and is this significant? 4. Was the apology in question from Wiley in relation to any of the actual content of the Krkosek et al. submission? 2. To put some of the questions I raised earlier in this article to him. Nigel confirmed, “We have not authorized anyone to speak on our behalf and we have kept our comments below short so that they can be conveyed onwards in their entirety to avoid any misinterpretation. We are not offering any views on reports of comments or interpretation made by others. The Comment from Krkošek et al. was the first ever received by the Journal of Fish Diseases (JFD), and was mistakenly classified as a Short Communication rather than a Comment, despite its title. This was subsequently corrected. Due to a procedural error, Jackson et al were not given the right to respond prior to publication of the Comment in Early View. We have apologised to the authors for this error and recorded our apology in the Publisher’s Note. 1. Short Communications and Comments are reviewed equally; therefore the reclassification does not represent any sort of downgrade or `significant downgrade`, as suggested by your paper and confirmed as a `highly significant downgrade` by Donal Maguire of BIM. 2. There is no question that Wiley have apologised to The Marine Institute Ireland about any of the actual content of the Krkosek et al. submission. 3. The only apology that the Marine Institute of Ireland received, was an apology for not having a right to reply before publishing of the `Comment`; I note this has been subsequently offered and will appear in the next issue of JFD. 4. The reclassification of the submission did not represent any kind of downgrade of the content of the `comment` by Krkosek et al. it was merely an administrative issue. 5. The issue of the reclassification was not confirmed with Krkoesk et al. by Inshore Ireland or BIM, and it appears it was not clarified with Wiley either. I have asked Wiley if there has been any pressure from Ireland to reclassify the submission, but no reply was forthcoming on this issue. Given your recent articles from BIM and Inshore Ireland in relation to misinformation... well, what can I say; I only hope the taxpayer has not been exposed to a deformation suit from the Authors of the `Comment` or Wiley Publishing! It sounds to me, from all the responses I have received, that the issue of the reclassification of the submission was merely an administrative issue been corrected. The issue of a peer review does not arise as Krkosek et al. were merely commenting on a Review Paper; they were not submitting a review paper themselves. The Krkosek et al. `comment` was based on the same data that Jackson et al. (The Irish Marine Institute) used, but the Krkosek et al. findings (33% mortality of smolts due to sea-lie) were significantly different from the Jackson et al. findings (1% mortality of smolts due to sea lice) a difference of 32%, although the methods and comparisons are complicated. I would say you will be using a bit more paper on this issue in the months to come, as I think there is a lot more miles left in this story. In conclusion, I would have thought that it would have been good journalistic practice to have clarified these issues at source, if Inshore Ireland was interested in giving a factual unbiased view of the issue. 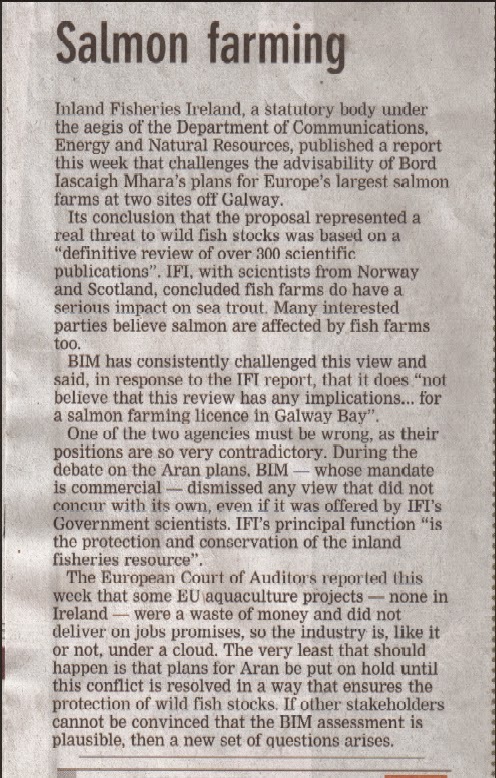 Instead, Inshore Ireland clarified the issue with the Salmon project promoter (a large source of advertising revenue for Inshore Ireland), although I appreciate you also asked Marine Institute (co-project promoter, and another large source of advertising revenue for Inshore Ireland) and Inland Fisheries Ireland for comments. I would hardly think, the views of the project promoter, could be said to be an unbiased opinion. I also note, that Donal Maguire, BIM, or Inshore Ireland, have been given no authority whatsoever to clarify anything for Wiley Publishing.